Fancy a flight with 839 other passengers? 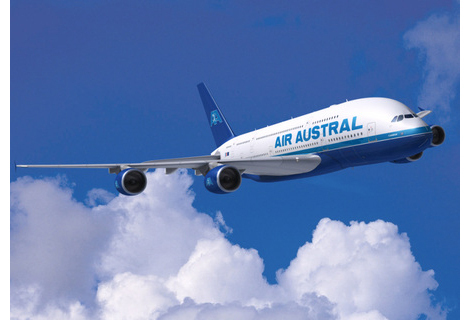 Air Austral has signed a memorandum of understanding with Airbus to purchase two A380s in a single-class economy configuration, raising the possibility of the superjumbo carrying up to 840 passengers per flight. A statement on the aircraft manufacturer’s website says that Air Austral (based in Saint Denis, La Reunion) plans to operate the A380 through one of its subsidiaries on its high density route from La Reunion to Paris. Airbus says that the superjumbo can carry “around 840 passengers” in a single-class configuration. This compares with 470-passenger limit on Singapore Airlines’ three-class A380, 489 onboard Emirates’ superjumbo (again with three classes), and 450 passengers on the Qantas A380, configured for four classes. For more information visit airbus.com, air-austral.com. In addition businesstraveller.com’s sister site seatplans.com has detailed seat plans of the A380 aircraft within the SIA, Emirates and Qantas fleets, along with advice on the best seat to choose on the plane. Click here for more details.